Here are some of the most common questions we get asked here at Protek. If you have a question that’s not answered here, we would love to hear from you. Are you approved by lenders? The Protek warranty has wide lender approval from banks and building societies in the UK. We are listed in the CML handbook and the Building Societies Association Mortgage Instructions. What is a Protek Structural Warranty? A Protek Structural Warranty is an insurance policy that pays for the cost of rectifying defects in the design, workmanship, materials and components that are covered by the policy. It is often classed as a building defects or latent defects policy. A defect is a a failure of the design, workmanship, materials or components to comply with the requirements of the technical manual. Do you provide cover for insolvency? Yes cover for insolvency is available on some of our policies – please get in touch if you need this. Is there a defect period? Our New Home warranty includes a developers defect period, developer insolvency, health and safety of occupants and contaminated land cover. Other products are available that do not carry a defects period. Why buy a structural warranty? Fixing structural defects can be very costly, without a structural warranty policy in place you will invariably be responsible for fixing the problem or pursuing the entity that was negligent, which can be a tricky, expensive and time consuming exercise. A warranty adds saleability to a property for that reason. Can I rely on an Architects Certificate or Professional Completion Certificate? Do I need to buy both a warranty and buildings insurance? Yes, we think you should because they are both very different in what they provide. A buildings insurance policy provides cover in the event of fire, subsidence, lightning, explosion, storm damage etc., but specifically exclude damage caused by faulty or unsuitable materials, design or poor workmanship. That is why you should consider purchasing a structural warranty policy as well as buildings insurance. How long does a structural warranty policy last? Most structural warranty policies last for 10 years, although commercial and social housing policies are often longer. Do you cover new builds, conversions, refurbishments and extensions? Yes we provide cover on most types of development from single units to main stream apartment developments, Barn Conversions, office to residential regeneration, mixed use , commercial, self-build, custom build, extensions and renovations. I’m planning a development using sectionalised timber frame is that OK? Yes that’s fine. We will check the suitability of the design, workmanship, materials and components as part of the technical audit to ensure they meet our technical standards. We are also able to cover other modern methods of construction including modular, insulated concrete formwork, straw bale as well as traditional brick and block. When do I need to get a warranty in place? The ideal time to get the warranty in place is after you have got your building regulation drawings in hand and are considering who to do your building control with. 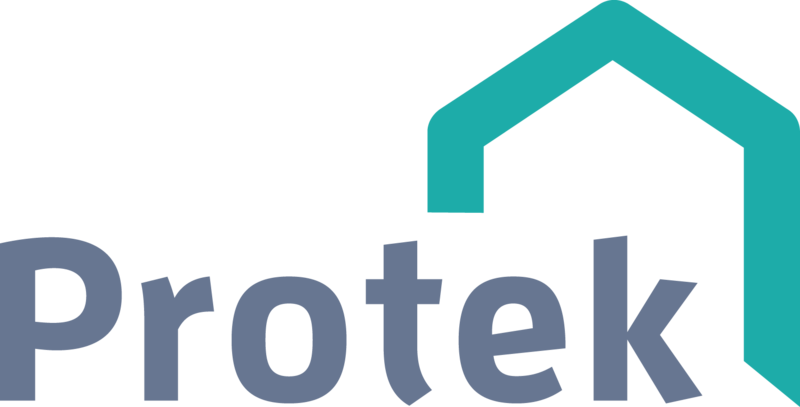 The Protek warranty works with both a local authority building control solution or an Approved Inspector. We need some basic details regarding the project to be able to offer you a quotation like the size, build cost, location, design etc. and these questions form the basis of our quote process. You can apply for a quotation here. Once you decide to proceed, we need you to provide a copy of the working drawings, calculations and specification to our technical auditor, who will check the design meets with the technical standards. On average it takes the sales team at Protek two days to turn a quotation request around. How much does a Protek New Home Warranty cost? A new home structural warranty policy is usually purchased by the builder or developer prior to construction works starting. They pay a one off premium covering the 10 year policy period. The structural warranty policy is issued at completion and provides cover for the homeowner and any successor in title (subsequent owner). For that reason while the current homeowner is always the beneficiary, the premiums are usually paid by someone else. Can I take the policy with me when I move home? No sadly not. The policy provides cover for the housing unit it was issued upon. The person who buys the house from you becomes the new beneficiary. The sum insured should always be the cost to professionally re-build the property, it has nothing to do with it’s value. Why do you show the sales value on the certificate of insurance? This is required by banks, building societies and conveyancers to ensure the certificate has been issued on the correct home. The property was completed 5 years ago – do you do a retrospective warranty? Yes, Protek provide retrospective warranties on part completed and completed properties. More information on the cover and process is available on our completed property page. How do I go about getting a structural warranty? Your already in the right place! It really depends on the length of time the project is scheduled for. In terms of a retrospective warranty being issued on a completed property these can be fast tracked to provide policy documentation on an average 10 working day turnaround. What happens if I need to sell the property part completed – can you transfer the warranty to the purchaser? We are regulated by the FCA and have a duty to treat all customers fairly. Whatever the reason for the mid build sale, our team will work with you to make the process as cost effective and straightforward as possible for all parties . Does my Building Control Completion Certificate provide any cover? No, it is simply a certificate issued by the building control inspecting party to confirm that the property meets the requirements of the Building Regulations with regard to Health and Safety. If you have a question that’s not covered here – contact us and we will do our best to answer it!